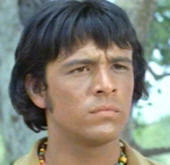 Notes: Rudy plays an Indian youth in this episode of The Virginian. Set in Wyoming in the 1890's the series ran on NBC from 1962-1971, one of the few television series to use a 90-minute time slot each week. 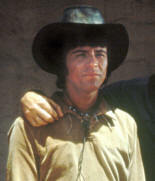 HC guest actor Scott Brady appears in this episode. Perhaps because it was in production during much of the same time frame as The High Chaparral, the only HC stunt people credited for The Virginian were Jerry Summers and Chuck Courtney. 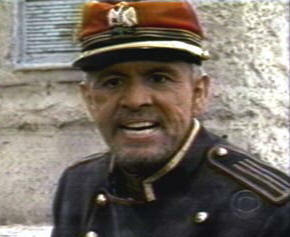 Notes: Rudy played the intensely nasty "Captain Ruiz" in this reprise of the story of Dr. Quinn Medicine Woman. The two-hour television feature was eagerly awaited by the fans of the television series that had run for six seasons on CBS from 1993 to 1998.